This free digital scrapbooking kit is called Fall Magic. It contains seven freebie PU/S4H scrapbooking paper designs in fall colors, patterns and textures; two clusters with cheerful autumn flowers and leaves; and one quickpage. It's not even close to fall-like weather here in South Florida; we have two months to go before we can even wear long sleeves. But since most other people in the U.S. and elsewhere are getting ready for the changing seasons, I thought this mini-kit would be useful. 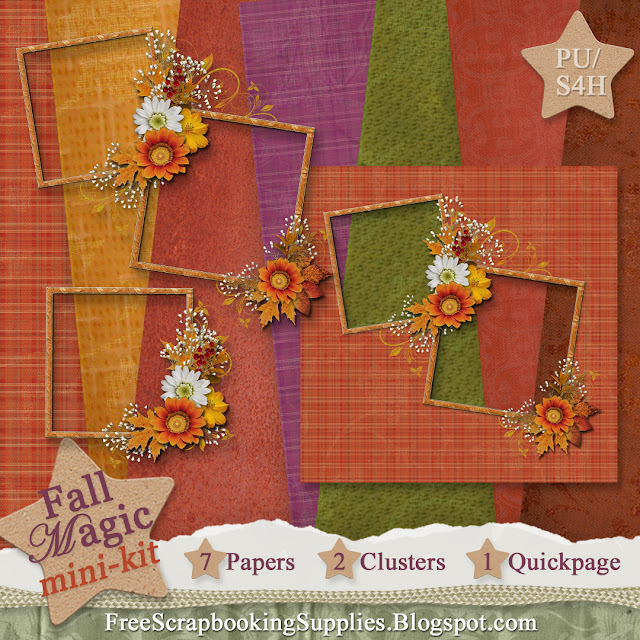 The full Fall Magic scrapbook kit and a free Fall Magic quickpage are also available. Many thanks to all the talented designers whose images were used to construct this kit: Helga of Granny Art, Cindy of Statchoo Scraps, Kelcey of LunaRosa Scraps, Lesley of Scrappiness Downunder, Cajoline of Cajoline Scrap and Jennifer of Pixels and Ice Cream. I would appreciate it if you would leave a comment to let me know what you think of the freebies in this kit. Thanks! I think these are beautiful and I am going to check out the full kit shortly! Is it OK if I use the papers as backgrounds for blog design if I give proper credit? Hi Stasha. Thanks for your kind words! Clarification: Any elements (not papers) used in "blog wear" need to be approved by me to make sure the original image designer is OK with it. The papers are fine to use as long as they're credited properly. 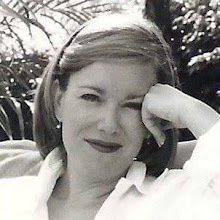 I did a blog makeover for my best friend (no money was exchanged). If there is anything that needs to be removed, please let me know!